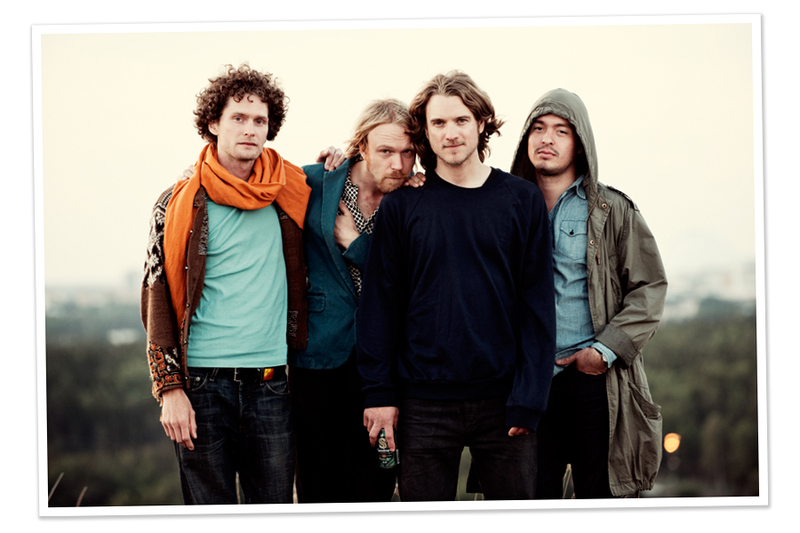 If you like beautifully orchestrated psychedelic pop, you're probably tossing confetti around your house right this very moment, as Swedish acid-poppers Dungen have just announced their first new record in 5 years. Allas Sak comes out September 25th on Mexican Summer, and the first single and gorgeously simple video are above. They've announced a few tour dates, including an October 20th date at the intimate Barboza here in Seattle. I'll see you there. Bay Area popster Mikal Cronin's third record (MCIII) drops today on Merge Records, and with it, a new video full of some of comedy's finest faces (Kristen Schaal and Kurt Braunohler taking on the starring roles) parodying Natalie Imbruglia's "Torn" video. It's been a while since Kool-Aid Man busted into a video, so I am thrilled to see him making a comeback, even if he does get brutalized by Mikal Cronin toward the end. Get better soon, Kool-Aid Man.